February 10, 1913. "Washington hikers. 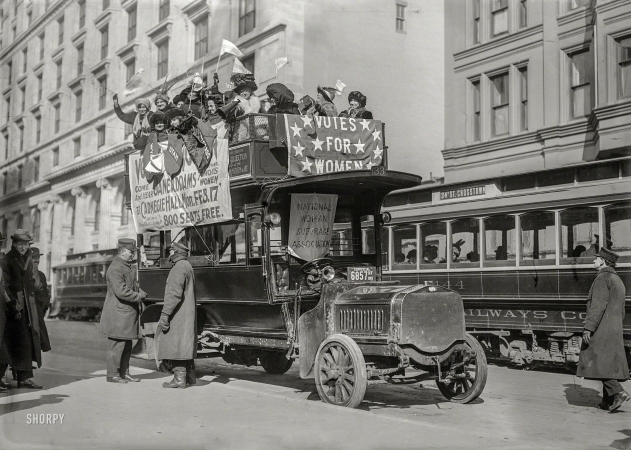 Suffragists on bus in New York City ... "